This is the first in a series of area studio crawls where we can showcase local EGD firms as well as give students a look into the typical day for a local experiential graphic designer. Sensory Interactive’s growing Austin office includes a gallery of digital and interactive technologies and a workshop to assemble interactive installations. We will take a look at a current project showcasing a 4ft x 14ft multi-user, multi-touch wall that utilizes Prysm display tiles, an infrared touch overlay, optical cameras and audio. This should be an exciting peek at an interactive digital product and an interesting look into how these types of technologies can be integrated into interactive experiences. Join us after the crawl, as we will head across the street to Whislers for a social, sponsored by S|N|A. 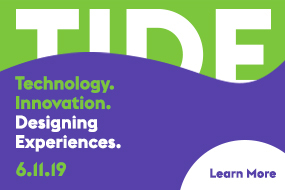 "where people connect with ideas by doing, making and experiencing"
Join the SEGD Austin Chapter for a guided tour and discussion of The Thinkery, the new Austin Children's Museum. Assisting with the tour will be Susanne Harrington of Asterisk Group, which created a program of building signage and donor recognition for the new facility and its exhibits. We will meet at The Thinkery Wed. April 23 at 6:00pm. Please contact Mitch Leathers ([email protected]) with questions or to receive the event invitation. A big “thank you” to everyone who joined us for the walking tour of the University of Texas at Austin campus. We had a great time and enjoyed some wonderful pieces of EGD. Thanks also to our members who played key roles in the design or fabrication of the tour projects – including Frauke Bartels (UT-Austin), Curtis Roberts (fd2s), and Grady Brown (iZone Imaging) – who provided some direction and great information. 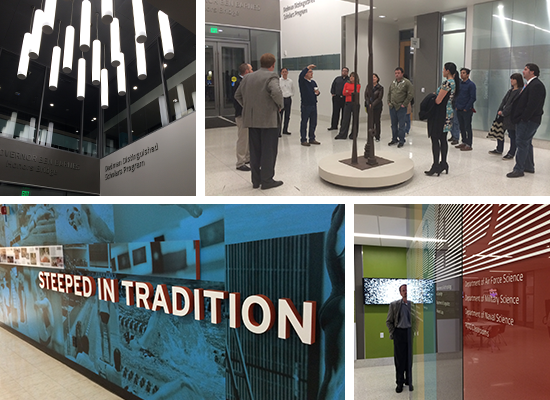 The tour included the Skyspace exhibit at the Student Activity Center, the College of Liberal Arts project, and the mural and information walls at the Texas Swimming Center. And thanks again to iZone Imaging for sponsoring our post-tour social and for providing our new chapter ID posters! Please gather at the ground-floor north entrance between 5:30 and 6:00 so that we can get started on time. If you have trouble finding us, call Mitch Leathers at 214-289-1898. After touring the Student Activity Center, College of Liberal Arts and Texas Swimming Center, we will walk to Scholz Beer Garten for a social, sponsored by iZone Imaging. RSVP Mitch at [email protected] so we can get an accurate headcount. Hopefully, we’ll see you Thursday! After a good initial chapter event, we are planning the first 2014 event for Thursday, Feb. 13 at around 6:00pm. With help from member Frauke Bartels-Felder, we will be doing a walking tour on the UT campus, including the College of Liberal Arts, Student Activity Center, and the Texas Swimming Center. We’ll follow up the tour with a social.